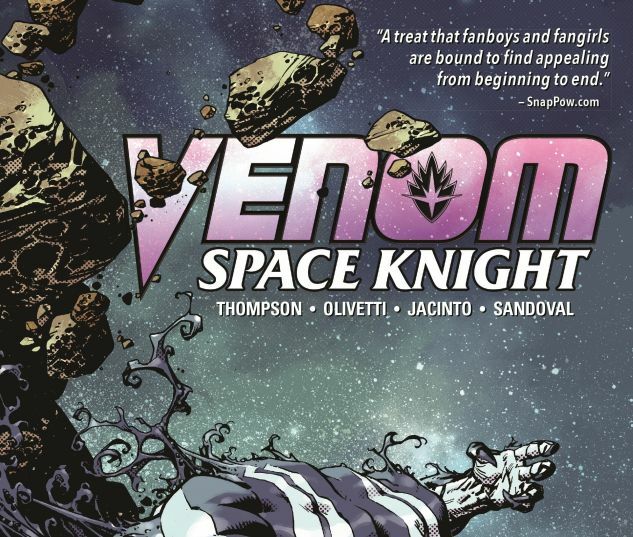 Venom’s new career as an Agent of the Cosmos continues with the hunt for Black October! 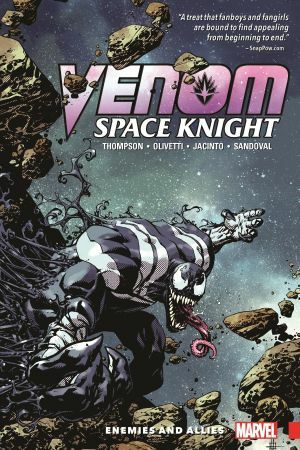 Flash Thompson has been learning quickly on the job as a space knight in symbiote armor, helping the hopeless and impressing the oppressed across the galaxy. He’s even picked up a few new pals along the way. But even they might not be enough to stop what’s coming. 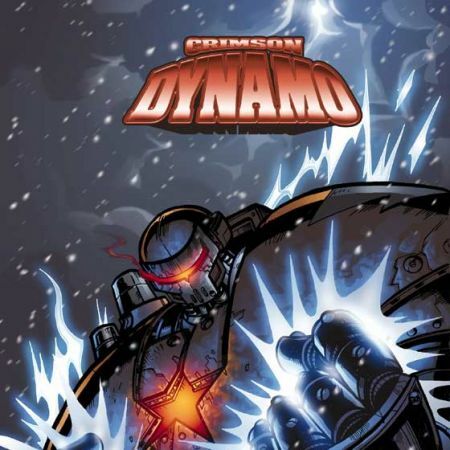 Because when his symbiotic relationship becomes one of hunter and prey, it’s Flash season! 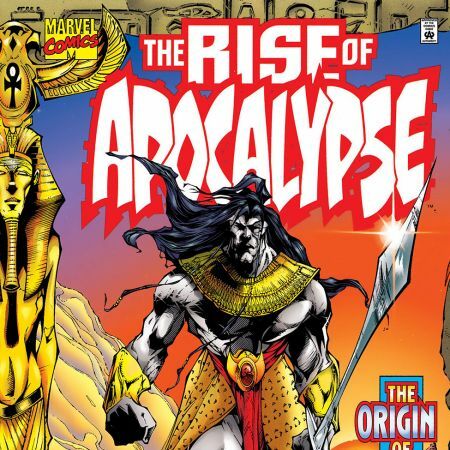 And when he comes face-to-face with his Klyntar, things get ugly. If there’s any hope of repairing this relationship, Flash will need all the help he can get — but when he returns home to CIVIL WAR II, one of his oldest friends will be his enemy! You’ve never seen Spidey vs. Venom like this! 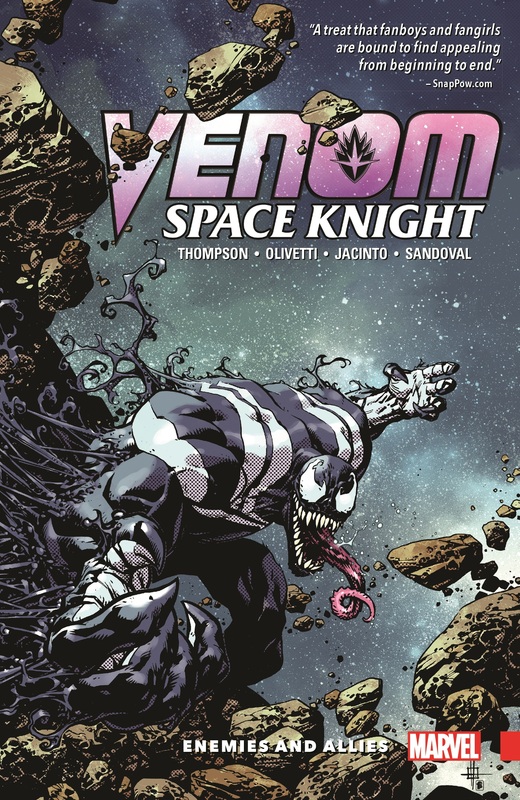 Collecting VENOM: SPACE KNIGHT #7-13.